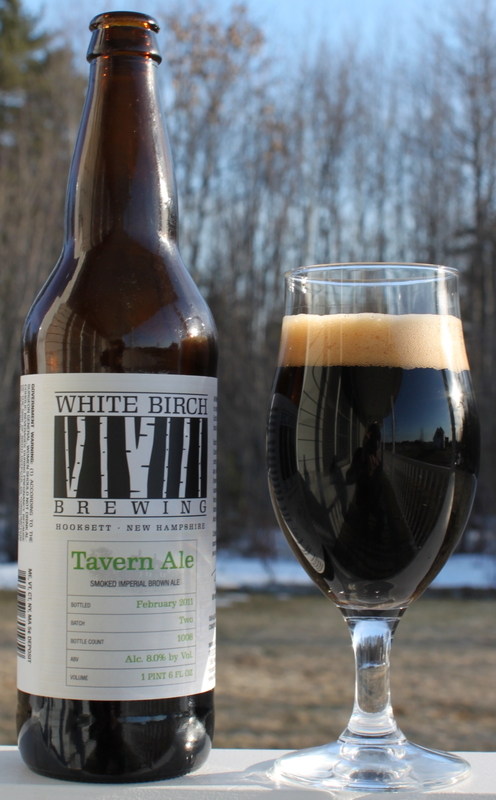 I had heard about, but never had a chance to try any beers from White Birch Brewing out of New Hampshire, until now. Based out of Hooksett, NH, this small brewery is making some interesting beers. I saw some at RSVP the last time I was in Portland, and picked up a bottle of the Tavern Ale, described as a smoked imperial brown ale, it sounded interesting and worth a shot. Ok, so she did not care for it, but I enjoyed it quite a bit actually. The body is actually a little lighter then I was expecting in an 8% brown ale, and there is not a whole lot of sweetness in the end. I can see this going very well with some BBQ or other hearty fare. Would I buy it again, probably not, but I will definitely try other beers from these guys in the future.